As we put together each of our projects I design for three views. Long shots, medium views and closeups. In our large current project we were able to do it for every element (and there are many) of the park. The long shot of the setting needs to grab people's attention and hold their interest. 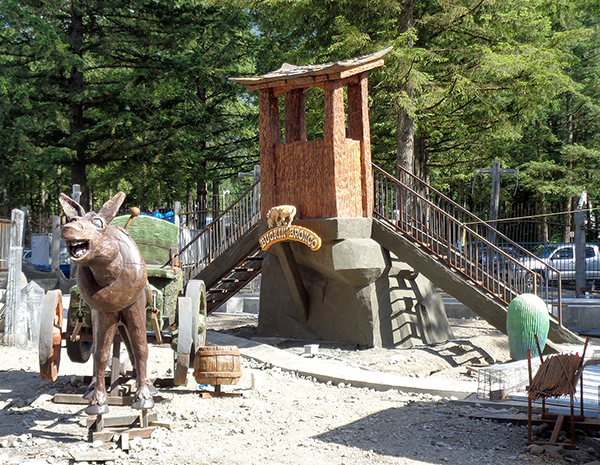 The entire scene is carefully composed to draw visitors in and guide them through the park. Background clutter is minimized as much as possible. I also try to limit the angles of viewing to the best attainable. This is done by carefully positioning and shaping the pathways. 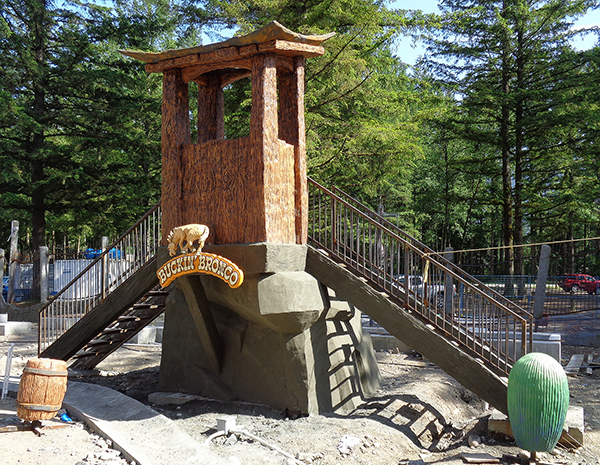 On entering the Cultus Lake Adventure Park this view of the project is evident to the right. The giant steel ride (yet to be installed) will be framed by the backdrop of lush evergreen trees of the park. The parked cars currently visible will be blocked out by the structure of the attraction. In the foreground is the operator's booth and the horse and wagon which is to be used as a photo opportunity. As guests approach they see the middle view. The sign is now readable but not the primary point of interest. The operator's booth perched high on the rock with the stairways is now the focus. In the foreground a stream will tumble between the rocks. The barrel and cactus on each side work like parenthesis to frame the picture. Landscaping will complete the story with appropriately chosen plants suitable for the setting..
As guests come a little closer they now can easily read the sign. The exquisite detail and character of the dimensional sculpture is now the focus. 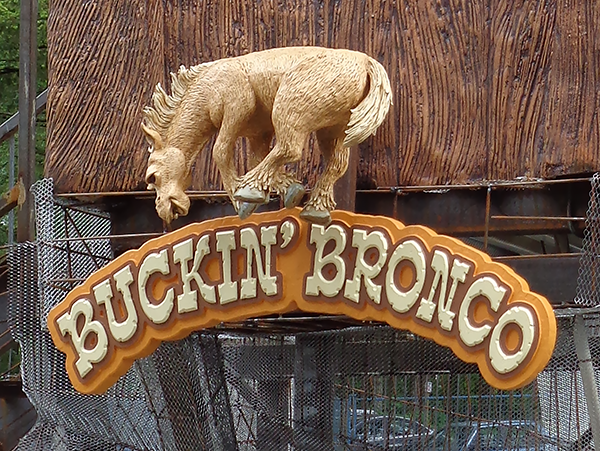 The lettering font is carefully chosen to fit in with the theme and it too arches to mimic the leaping bronco. Because we designed each element of the project, shaped the land and then positioned each piece we left nothing to chance. The result is everything works together to carefully and purposefully guide our visitors through the project and also tell the story.